So, you’ve been sucked in. You’ve checked out our list of the Top Ten Gateway Games and you’ve played most of them with your friends. But now it is time to head out for deeper waters. You want something with a little more strategy and a bit more depth. Rulebooks over two pages no longer scare you. So, what games are the best “Next Step” games? 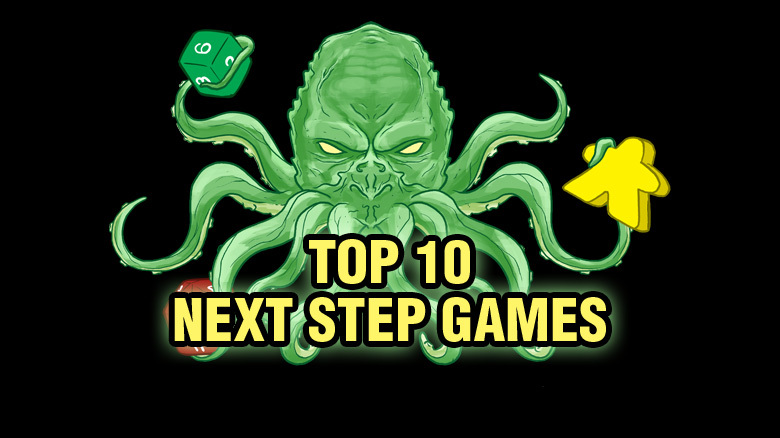 We’ve put together the Top Ten Next Step Games. Most of these games would be considered medium-weight. There is still quite a variance in depth here, but the premise is that we would never start a person completely new to the hobby with one of these titles. However, a novice gamer might enjoy the added depth, complexity, or theme that these games provide. We’ve tried to limit the list to in-print or otherwise easy to acquire games. No use telling you how great a game is if you can’t get your hand on it! With that in mind, let’s get to it. Takenoko is a cute game of a panda bear, a farmer, and some bamboo stalks. The components are beautiful to look at and the setup is fairly simple. Hexagonal tiles are played to form a garden in three different colors. Players score points by completing specific garden plot patterns, eating specific colored bamboo with the panda, or growing bamboo of the correct heights. Takenoko has a lot of mechanics in a tight package. The mechanics are all pretty simple on their own, and the game as a whole serves as a great introduction to action points, modular boards, and set collecting. My gaming group loves social deduction and bluffing games. 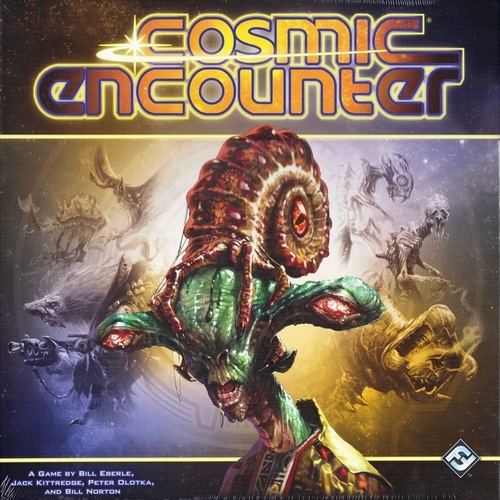 Cosmic Encounter takes this idea and basically gives us a canvas to play out our own social experiment. The goal is simple; you use your ships to try to take over planets belonging to other players. Each player is a different alien race with their own special ability. When you have 5 enemy planets that you have colonized, you win. Each time you attack or are attacked, you can try to recruit allies. Shared victories are possible. It’s a game of making alliances and breaking them. Be warned: the game is only as fun as the group you play it with. 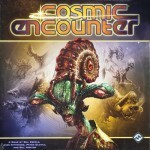 But with the right group, Cosmic Encounter is a fantastic amount of fun. Sim City was always one of my favorite video games. 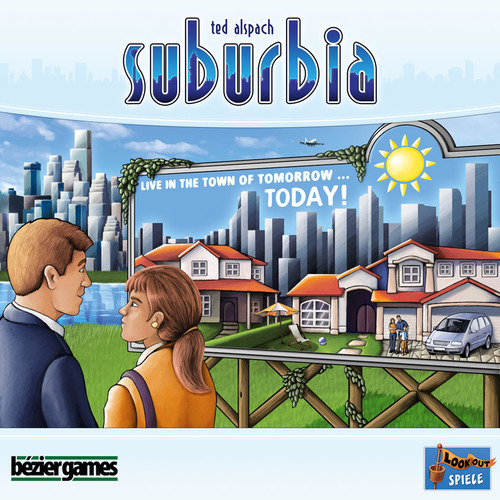 Suburbia is basically Sim City: The Board Game. Players purchase hexagonal tiles representing various buildings or structures: parks, airports, schools, apartments, factories. Each tile is worth points, and based on the layout of your city, may score additional points. Parks next to residential areas make everyone a bit happier. A landfill next to that commercial area may not go over so well. There are plenty of strategies that can win and it’s fun to see your city’s story play out. My housing projects may have made me a slumlord, technically, but I won didn’t I? 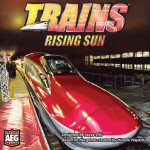 Trains: Rising Sun makes the “Next Step” list for a number of reasons. First, it’s a great game in its own right. Two, it’s an easy transition thematically from Ticket to Ride. Third, it’s an easy transition mechanically from Dominion. 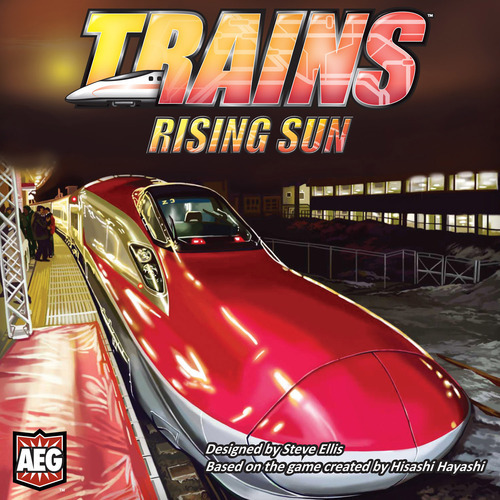 Trains: Rising Sun is technically an expansion to Trains, but is a stand-alone game. With the original you can combine sets in way that in similar to Dominion. If you really enjoy deck building, Trains: Rising Sun adds a game board and you score points my making routes throughout the map. It’s possible to win ignoring the board entirely by buying your victory points in a Dominion-like way, but it’s rarely the most efficient strategy in the Rising Sun version, as route bonuses add importance to laying tracks throughout Japan. 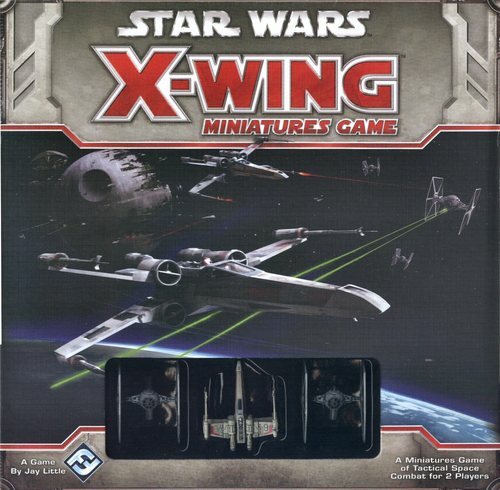 X-Wing is the essential entry-level miniatures game. The Star Wars universe appeals to such a broad audience and the miniatures created by Fantasy Flight are pre-painted and look fantastic on a table. The core set comes with enough ships to have a small 1-on-1 dogfight, but there are dozens of additional expansions available. Be careful: this seemingly innocuous $40 MSRP game can easily turn into one of the most expensive games on your shelf. It’s a great deal of fun though. Just trying to navigate a TIE fighter through a field of asteroids to get a good shot on an X-Wing can be a blast. It does take some practice to get a feel for moving ships, and setting up your teams once you have a good deal of ships can be daunting. But for those that are willing to put in the effort, X-Wing can pay off big time with epic battles that will be re-told for years. Man, you are halfway through the list and you just love all these games! It’s a shame you always have to wait weeks to get your gaming group together to play all these new games. Never fear, solo games are a real thing! And Sherlock Holmes is the best one I’ve played. 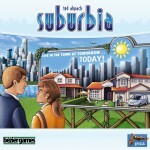 This isn’t a traditional looking board game of course. 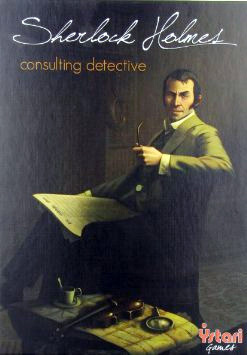 Sherlock Holmes: Consulting Detective comes with 10 cases to solve. You will score points based on how many correct conclusions you made and how long you took to reach those conclusions. It’s a lot of reading, and deduction, and note-taking. A lot like really being a detective I would guess, without all the having to leave your house part of it. 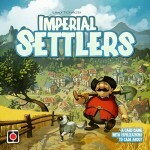 Imperial Settlers pits up to 4-factions against each other to see who can craft the biggest empire. Playing as the Romans, Japanese, Barbarians, or Egyptians, players will purchase buildings and place workers in those buildings to gather resources. But getting this resource engine going isn’t as simple as it may sound, as other players can reduce your building to rubble and ruin what was otherwise a foolproof plan. 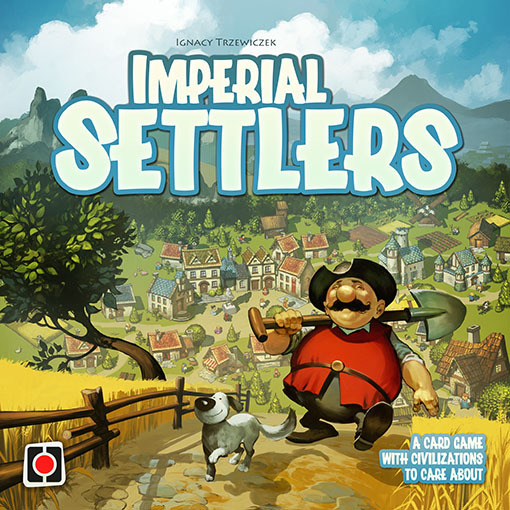 There is a lot of direct conflict in Imperial Settlers, which may not be everyone’s cup of tea, but the interactions it creates make for an awesome game. Worker placement games are a tale as old as time. Place a worker, do a thing. The Manhattan Project has a lot going for it though. The theme works extremely well with worker placement. Players race to build, test, and power nuclear destruction. It’s literally an arms race. You need some scientists and engineers to come up with a good design. You’ll need enough uranium or plutonium to power it. Planes to drop it and fighters to protect your bombers. The Manhattan Project also adds a couple small mechanical nuances to the worker placement genre. Your workers stay out on the board clogging up potential actions for your opponents until you decide to pull them back. Sometimes the correct strategy involves doing less than you possibly could, just so you can keep your workers in place for another turn or two. Also, espionage allows you to use your opponents’ buildings (and stop them from using it until you remove your worker). 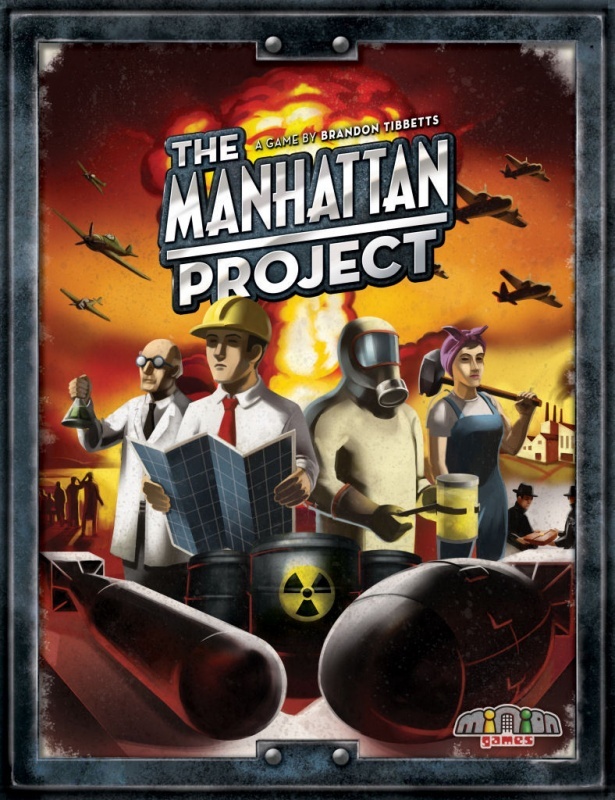 The Manhattan Project is my go-to worker placement game. 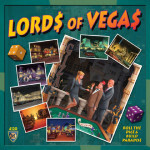 At the beginning of Lords of Vegas, the city is just a giant parking lot. By the end, it’s a bustling gambling Sin City replica. 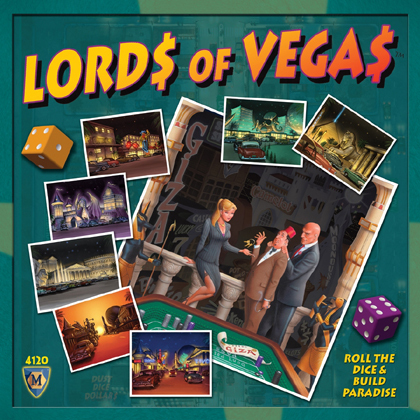 Players build casinos and fight for control. Each turn, some of the casinos will earn money and earn victory points for the casino boss based on the size of the casino. Just like Vegas, fortunes can turn on a dime. One minute you own a casino and the other players work for you, but they called for reorganization and all the sudden they are in charge. Or the empty lot next to you is remodeled, is not part of your casino, and came with a new boss. The theme makes this an easy sell, but don’t be fooled, there is a lot of depth here and a lot of fun to be had over multiple plays figuring it out. Dead of Winter is my favorite game to “level-up” novice gamers. The theme is dripping everywhere. Yes, it’s a zombie theme and those are pretty easy to come by in the board game hobby today. 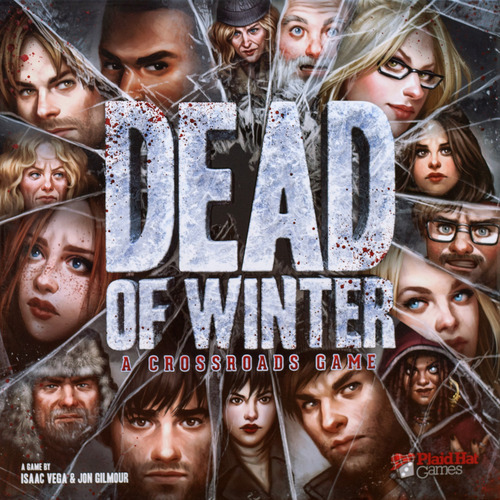 Dead of Winter is different though, the game isn’t about the zombies, it’s about the survivors. The game starts with a main objective, maybe something simple like kill a bunch of zombies. However, winning isn’t that simple. Each player will have their own personal objective that needs to be completed to win the game. Each round the survivors will face a new crisis and must work together to prevent really bad things from happening. Of course, there is a chance one of the survivors is a traitor, playing against everyone else, trying to prevent the main objective from being completed. Dead of Winter keeps everyone on their toes. And the crossroad cards! Every turn there is a possibility of a crossroad card being activated which adds to the story and can either help or hinder the group’s chance of success. 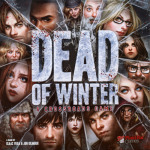 If you’ve made your way through a few gateway games and are ready to plunge into something with a bigger rulebook: start here because Dead of Winter is a blast to play each and every time. That wraps things up for our Top 10 Next Step Games. I hope this gives you some ideas for your next game when you are ready to move on from your first few gateway games. Did we miss your favorite game? Let us know in the comments below. Also good additions to this list: Viticulture, Stone Age, Space Cadets Dice Duel, Marvel Legendary. I think Memoir ’44 is a great next step game as well. Solid list though! If Takenoko is a “next step” game what exactly is a “first step” game? “High Card Draw” ? or maybe “CandyLand” ? Takenoko is as first step as it gets. Admittedly, the lightest game on my list. But I think there is enough going on that I wouldn’t really start a brand new gamer with Takenoko. I like a lot of the games on this list. Well done.